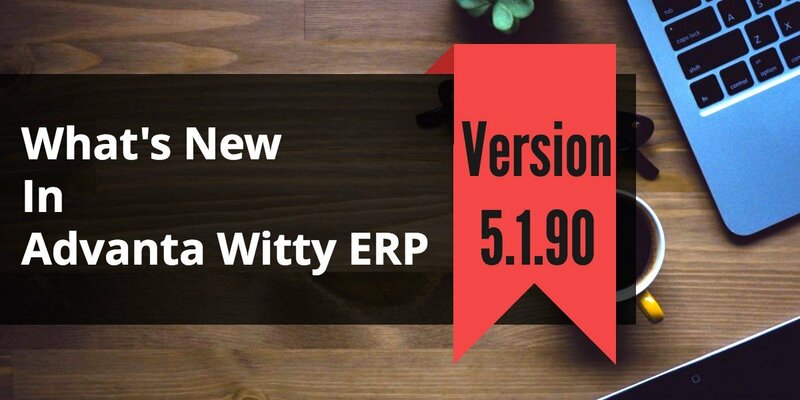 We are releasing the new version of Inventory Control System Advanta Witty ERP Update 5.2.88. 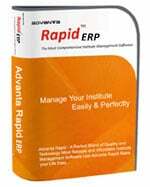 We have improved the inventory management features, VAT reports, TDS reporting, and accounting module. Along with it, we have fixed some known bugs. Improved Detailed Account Vouchers. Added Series Option in Vouchers. Improved Item Code List Report. Now Item Code will reflect along with Item name if Use Item Code Option is ON. Added New Feature to Maintain Net Landing Cost. Added an Option to Maintain Net Landing Cost. On the basis of this Option, a window will Open in Purchase Transaction to ask Net Landing Cost. If The Bill Amount and Net landing Cost has Difference then, a New Report will reflect all such Purchase Vouchers. Added New Report “Item Code List” to Show Item Name and its Code. Improved VAT Computation. Now Un-Registered Dealer Purchase will show separately in VAT Computation. 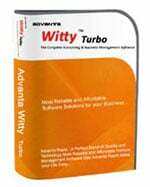 Service Tax will available in Accounts Only Company. Improved View/Edit of Inventory Vouchers. Now Serial No wise Search is available. Users can Search Transaction in which a specific Serial No Item is used. Created DOS and WINDOWS Printing for Salesman Issue Transaction. Improved Chandigarh CST Form 1. Now Local Tax-Free sale will also reflect in Gross Sale and corresponding columns. Improved Item wise Sale Report for Fertilizer/Pesticide Business. Average Rate Column shifted along with Item Name and Packing. Improved Pending Challan Detail Report. Added Option to view Report Group wise and Salt wise. Salt wise Option will show only in Seed/Fertilizer/Pesticide Business. Improved Collection Sheet Group Wise Report. Added an Option to view Report for Receivable/Payable. Improved Farmer Wise Sale Report. Added an option to view the report by Salt wise. Improved Windows Printing application. Now User can enter 4 Digit Page From to Range. Added New Report “Salt wise Summary” in Seed/Fertilizer/Pesticide. This Report will show transactions Sale/Purchase/Sale Return/Purchase Return Salt wise. On Press Enter Key it will show Detail of Selected Salt. Improved User wise Transaction Report. Now New Bill amount and Previous Bill amount will also show. Added New Report “Salt wise Stock Transfer” in Seed/Fertilizer/Pesticide. This Report will show Stock Transfer Salt wise. On Press Enter Key it will show Detail of Selected Salt. Improved Account Vouchers. Now Invoice wise Optional Fields can Maintained and can use as desired. Improved Party wise TDS Report. Added an Option to view Report Market wise, Market wise option will show only if Markets are available in Market Master. Improved TDS Payment Form. Added Party Name along with Other detail of TDS. Added New Report to view all transactions in which TDS is Deductable, but Not Deducted. Added Copy Paste Feature in Accounting Vouchers. Now any Voucher can be copied and can be paste as a new Voucher. Improved Interest Calculator. Now Interest can be automatically posted through Interest Calculator. Added Feature to Handle E1/E2 Sales (Sales in Transit). Added an Option in Sale Categories to Ask Consignee Detail. On Basis of this Option, a window will open in Sale to Ask Detail, of Consignee. Added an Option to add VAT/CST amount to Purchase Value in Retail Purchase. The option is available at Feature and Options in Control Panel. Improved Issue to Salesmen Feature. Now Return from Salesman can be maintained. Improved Job Work Vouchers. Added Additional Qty in Vouchers. Improved Inventory Master. If Mix Stock for Multiple Feature is ON then Godowns for Dependent Items can be fixed. At the time of Sale Stock will adjust from Fixed Godown in Master. Improved RDF Report. Added Bill No, VAT No and Market Columns. This report can be used for RD Sales Report. Improved Market Books Master. Added an Option to Show/Hide completed I/J Form Books in Transactions. Improved Collection Sheet Slip. Added an option to show the report for one ledger account. Created New Report for Supplementary I Form. 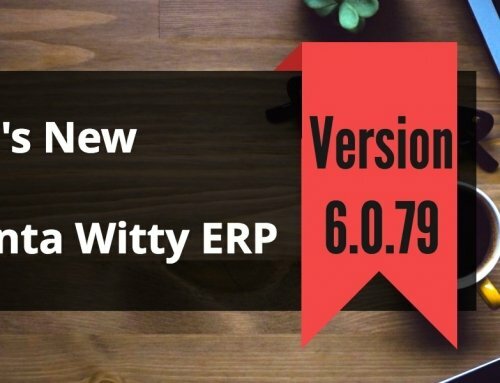 We are sure you find these updates useful. Please give your feedback – positive or negative, in comments here. We would love to hear from you about our Inventory Control System Advanta Witty ERP Update 5.2.88.